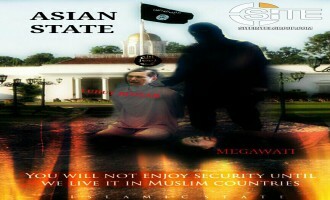 Islamic State (IS) supporters distributed a poster threatening Indonesia and Indonesian politicians, namely Luhut Binsar Pandjaitan and Megawati Sukarnoputri. 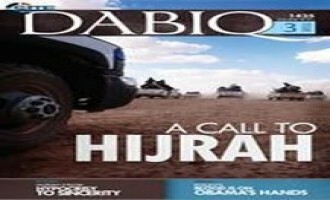 The Islamic State (IS) called the executor of the Manhattan vehicular attack a “soldier of the Caliphate” in the 104th issue of its al-Naba weekly newspaper. The Islamic State's (IS) 'Amaq News Agency released a video of a fighter from the group's Damascus Province collecting a pledge of allegiance to Abu Bakr al-Baghdadi from men and children in the city of al-Hajar al-Aswad. 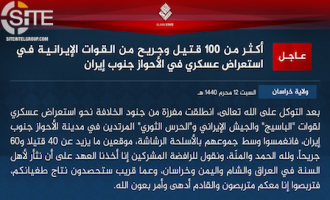 Baghdad Province of the Islamic State (IS) in Iraq claimed killing and wounding more than 100 Shi’ites in two bombing operations. 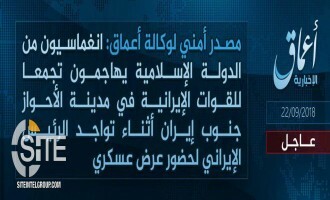 Caucasus Province of the Islamic State (IS) claimed killing the head of the Criminal Investigation Department in the city of Derbent in southern Dagestan in a suicide raid. 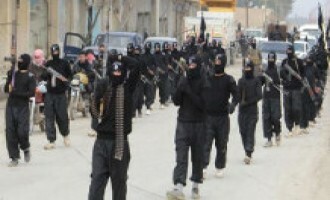 Al-Janoub Province, a division of the Islamic State (IS) in Iraq that it refers to as “South Baghdad,” claimed to have committed two suicide bombings in al-Samawah that targeted security services. 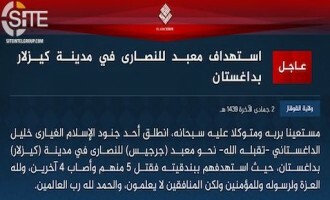 The Islamic State (IS) claimed an attack on a security convoy in Egypt’s Giza governorate and reported killing an unidentified number of security forces. 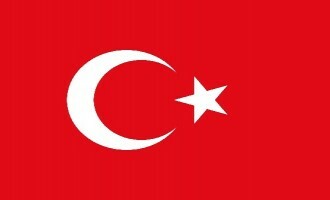 Islamic State (IS) fighters and supporters on Twitter reacted to recently initiated offensives on the group by the Turkish military with violent rhetoric. 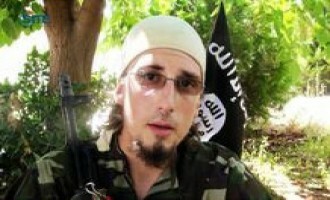 A fighter belonging to the Islamic State (IS) has warned of attacks that will occur in England on July 7, 2015. 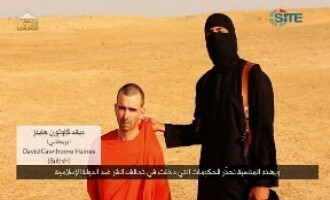 The Islamic State (IS) released a one-minute and eleven-second video titled "Another Message to America and its Allies" on October 3, 2014 showing the beheading of British aid worker Alan Henning and introduced another hostage, Peter Edward Kassig, an American aid worker. 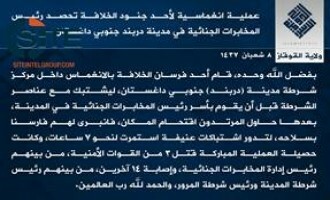 A user on a prominent English-language jihadist forum provided a translated announcement of a completed martyrdom operation in northern Iraq on behalf of the Islamic State (IS). The Islamic State (IS) released a video showing scenes from its raid on the Tabqa military airport in Syria's ar-Raqqah government, including its marching soldiers in their underwear and mercilessly executing them. 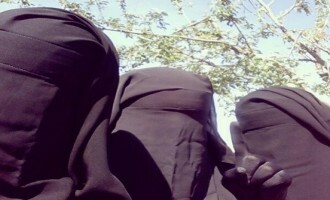 Female jihadists within the pro-Islamic State (IS) media group al-Battar Media Foundation reactivated their division called the "al-Khansa' Media Battalion". 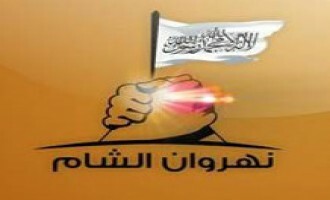 Al-Battar had initially announced the creation of the group in December 2013, and notified about its reactivation on its Twitter account September 4, 2014. 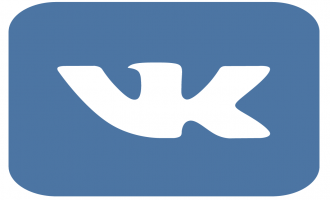 Conversations regarding the Islamic State's (IS) migration of official accounts to a Russian social media platform called VK arose in a prominent English-language jihadist forum. 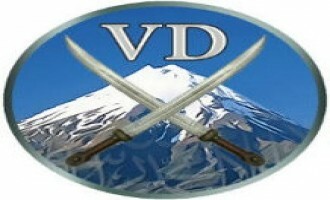 The Islamic State (IS) has migrated its array of official media accounts to VK, a Russian social media website similar to that of Facebook, following SITE Intelligence Group's reporting of the group's activity on Diaspora, another social media platform which removed the accounts shortly after. 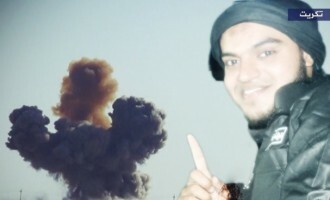 The Islamic State (IS) claimed credit for a suicide bombing near Tikrit in Iraq's Salah al-Din province, and provided pictures of the Saudi bomber, the preparation of the explosives, and the blast. 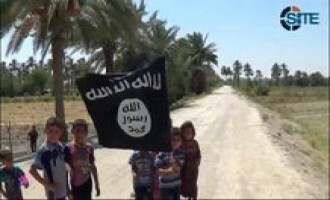 The Islamic State (IS) published photo sets of its activities with orphaned children in Iraq's Ninawa province, and scenes showing the "prosperity" enjoyed by residents in the city of Mosul under the "shade of the Caliphate". 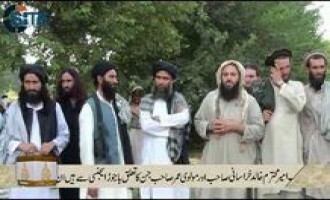 Ehsanullah Ehsan, the spokesman for Tehrik-e-Taliban Pakistan (TTP) splinter group Jamat-ul-Ahrar, remarked that the beheading of American journalists James Wright Foley and Steven Joel Sotloff by the Islamic State (IS) has a "great message for Pakistani media". 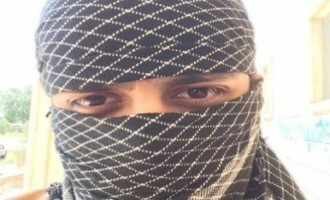 Jihadists distributed videos of Islamic State (IS) fighters humiliating Syrian soldiers in ar-Raqqah governorate by making them march in their underwear to their death, and executing them. 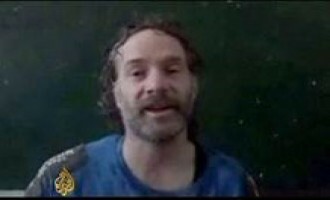 Pro-Islamic State (IS) jihadists criticized the al-Nusra Front for releasing American journalist Peter Theo Curtis, arguing that it betrayed the Muslims who are killed by U.S. drones and held in its prisons. 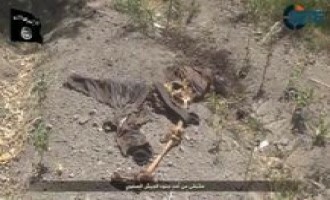 The Islamic State (IS) released a video on the aftermath of its “cleansing” the city of Jurf al-Sakhar in Iraq’s Babil province, showing corpses of Iraqi soldiers and the remains of destroyed vehicles. 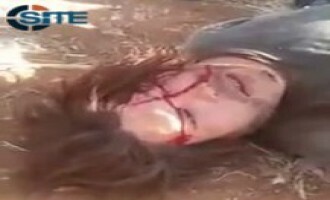 IS Beheads Peshmerga Captive in Video, Threatens Barzani to End Alliance with U.S. 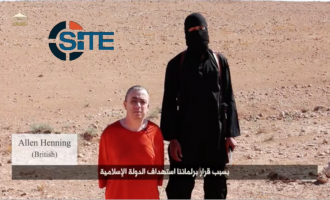 The Islamic State (IS) beheaded a captive Peshmerga element in a video, using the grotesque action to send a message to KDP leader Masoud Barzani to end his alliance with the U.S. or other captives will be killed. 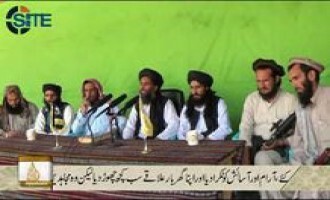 A splinter group from Tehrik-e-Taliban Pakistan (TTP) calling itself "Jamat-ul-Ahrar" (Group of the Free ones) announced its establishment and named its officials in a video, and in a separate release, its spokesman, Ehsanullah Ehsan, denied that it was inspired by the Islamic State (IS) and will pledge to it. 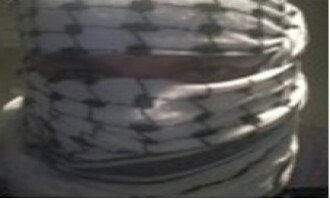 The Free Syrian Army-run Twitter page for "Nahrwan al-Sham," an account documenting an ongoing battle in northern Aleppo against Islamic State (IS) forces, announced on August 25, 2014 the killing of two Americans IS fighters among the 43 killed in total. 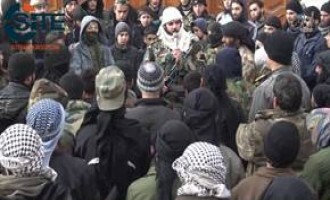 After reports that the Islamic State (IS) executed a man identified as its top security official, Abu Obeida al-Maghribi, on charges of working for the British intelligence, anti-IS jihadists argued that this example demonstrates the weak faith and questionable jihadi spirit of the group's members. 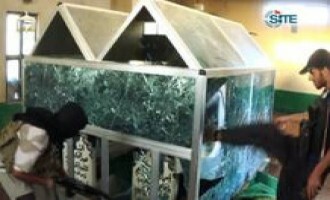 The Islamic State (IS) claimed a suicide bombing by a foreign fighter at a Shi'a temple in Baghdad in revenge for an attack by Shi'a militiamen at a Sunni mosque in Diyala. 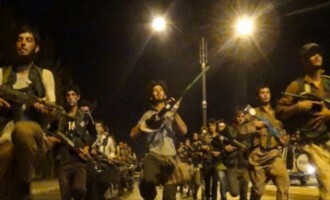 The Islamic State (IS) claimed killing and wounding more than 200 from among the Kurdish Peshmerga and Asayish in three suicide bombings in Kirkuk, two of which were carried out by German fighters. The Islamic State (IS) released a video focusing on its capture of Brigade 93 in Syria's ar-Raqqah governorate, and showing its brutal execution of Syrian soldiers, including a beheading. The Islamic State (IS) released a video focusing on the alleged voluntary conversion of hundreds of Yazidis to Islam in Iraq's Ninawa province, and showing Yazidis who converted, calling upon their brethren in the mountains to come down and join them. 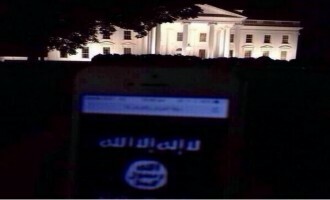 Jihadists Emboldened by IS Beheading American, Challenge U.S.
Emboldened by the Islamic State (IS) directly challenging the United States by beheading American journalist James Wright Foley in a video, and threatening to execute another American if military intervention does not cease, jihadists taunted the U.S. and President Barack Obama, and also lauded the IS. 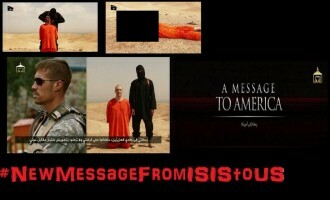 Islamic State (IS)-supporters took to Twitter to respond to IS's release of a video showing the beheading of U.S. journalist James Foley on August 19, 2014—collectively using the hashtags "#A_Message_to_America," based off the title of the IS video, and "#NewMessageFromISIStoUS," a modification of the recent hashtag formed in response to U.S. airstrikes, #AMessagefromISIStoUS." 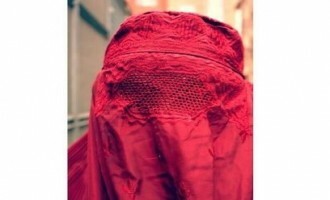 Jihadists posted a video showing what they purport to be a Japanese security contractor interrogated by fighters from the Islamic State (IS) in Syria. 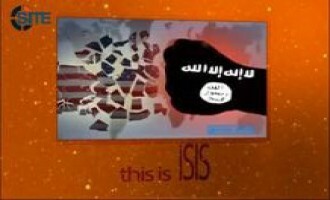 AQAP Expresses Solidarity with IS Amidst U.S. Airstrikes, Threatens U.S.
Al-Qaeda in the Arabian Peninsula (AQAP) expressed solidarity with the Islamic State (IS) regarding the U.S. airstrikes on its positions in northern Iraq and offered recommendations in dealing with enemy aircraft, and also threatened attacks against the U.S. 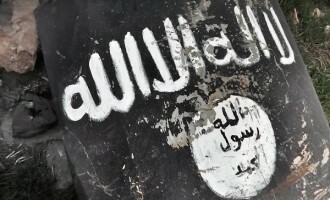 Demonstrating its resilience on Twitter, the Islamic State (IS) opened new accounts for its provincial divisions on two occasions within the past 48-hours, after the social networking website twice suspended them. 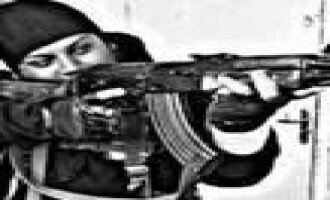 A group calling itself "Ansar al-Khilafah in the Philippines" pledged allegiance to the Islamic State (IS) and its leader, Abu Bakr al-Baghdadi, in a video release. The Islamic State (IS) promoted its good works for the people, releasing a video of its distributing aid to displaced and needy families in the area of Jurf al-Sakhar in Iraq's Babil province. 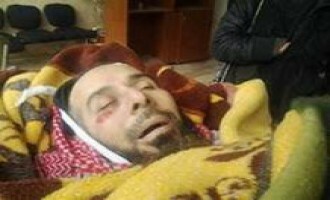 The "Supporters of the Islamic State in Jerusalem" (Jama'at Ansar al-Dawlat al-Islamiyya fi Beit al-Maqdis) announced that one of its members, a "representative" to the Islamic State (IS), was killed during clashes in Syria's Homs governorate. 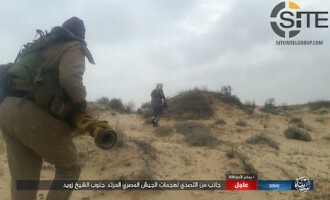 The Islamic State (IS) released a video of its fighters inside Brigade 93 in Syria's ar-Raqqah governorate after capturing it on August 6, 2014. 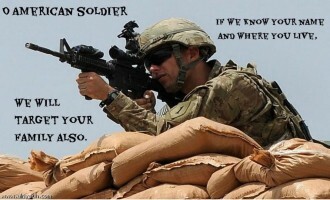 The jihadi media group Tarjuman al-Shami Media Productions released a video challenging the U.S. to deploy soldiers in Iraq once again, showing a series of clips from the war in Iraq and current media from the Islamic State (IS). 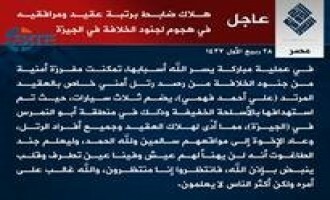 The Islamic State (IS) claimed credit for four car bombings in Baghdad on August 6, 2014, and published pictures of the Lebanese and Saudi fighters who carried out suicide bombings in Baghdad's al-Kadhimiyah neighborhood on August 7. The Islamic State (IS) claimed killing dozens of Iraqi security forces and Shi'ite militia elements in two suicide bombings in Baghdad's al-Kadhimiyah neighborhood. 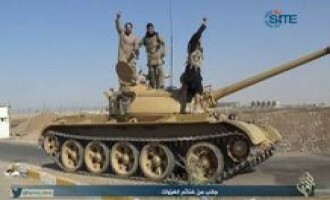 The Islamic State (IS) continues to claim victories against Kurdish Peshmerga and Asayish forces in Iraq's Ninawa province, declaring in its latest communiqué that it has taken control of the Mosul Dam, the oil-rich area of Ain-Zalah, four districts, six sub-districts, and other areas. 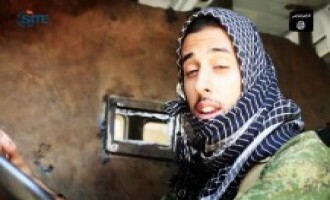 The Islamic State (IS) claimed a suicide bombing by a German fighter, Abu Usama al-Almani, among several attacks to control areas of Iraq's Ninawa province and drive out Kurdish forces. 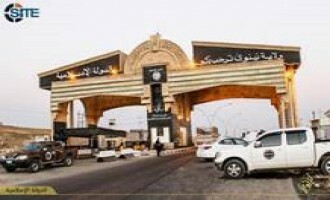 The Islamic State (IS) claimed reaching the border triangle between Iraq, Syria, and Turkey after securing victory in battles to open the Ninawa-Dohuk border, and reported on clashes with Kurdish security forces. 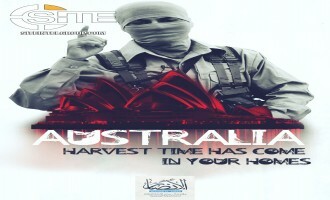 The Islamic State (IS) released a video of foreign fighters from Europe, North Africa, South Africa, Southeast Asia, and the United States promoting jihad and the “Caliphate” announced by the group. 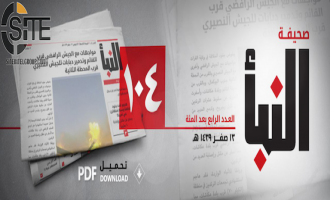 The Islamic State (IS) released a video documenting recent attacks and events in Iraq, including celebrations for the declaration of the "Caliphate," its executing Iraqi soldiers en masse, and destroying shrines. The Islamic State (IS) released the eighth episode in its "Mujatweets" video series, showing fighters and children breaking their Ramadan fast, and one man calling upon Muslims to come to Syria. 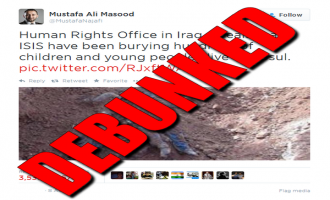 The Islamic State (IS) published a picture set showing scenes from its training camps in Iraq's Ninawa province. 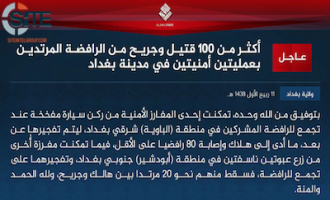 The Islamic State (IS) claimed killing and injuring more than 150 Iraqi security and militia elements in Baghdad as a result of two suicide bombings by German and Syrian fighters, and the detonating of two car bombs. 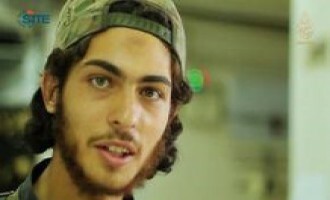 A French-speaking fighter urged Muslims to join the Islamic State (IS) and pledge to its “Caliph,” Abu Bakr al-Baghdadi, in the sixth episode of the group’s “Mujatweets” video series. 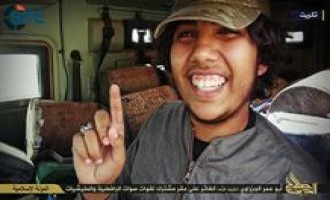 The Islamic State (IS) reported that an Australian fighter carried out a suicide bombing in Baghdad on July 17, 2014, killing and wounding more than 90 Shi'ites. 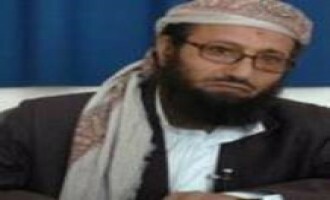 A pro-Islamic State (IS) Yemeni cleric questioned supporters of al-Qaeda why they prefer to follow a group that seeks a Caliphate in a "fantasy world," when the IS has already established one in reality. 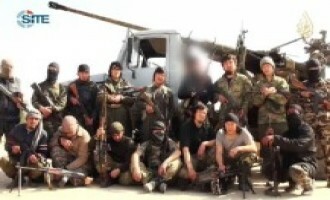 A Kazakh fighter called upon his Muslim countrymen to participate in jihad in Syria or at home, in Kazakhstan, in a posthumous video released by the Islamic State (IS). 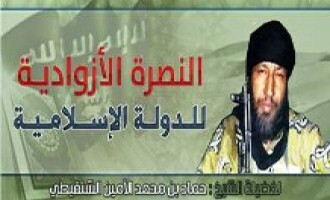 A message attributed to Hamaad bin Muhammad al-Amin al-Shinqiti, an individual identified as the former head of the Shariah judiciary in the Malian city of Gao, gave support to the Islamic State (IS) and its declared "Caliphate". 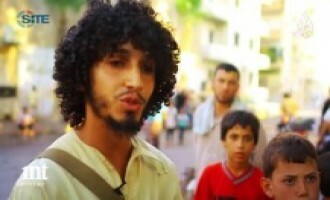 Jihadi ideologue Abu Muhammad al-Maqdisi continues to rally against the "Caliphate" declared by the Islamic State (IS), publishing a second statement in which he attacked its establishment and urged Muslims to reject it. 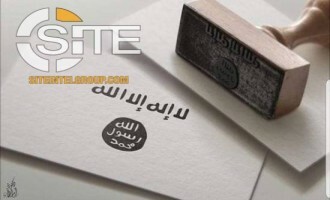 In a statement attributed to al-Qaeda in the Islamic Maghreb (AQIM), the group rejected the "Caliphate" announced by the Islamic State (IS), and urged jihadi leaders and scholars to rectify the issue of the IS and its conflict with factions in Syria. 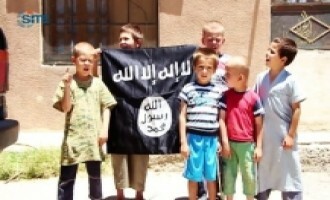 The Islamic State (IS) released the fifth episode in its “Mujatweets” video series, featuring children of Bosnian fighters standing with its flag and chanting that the group is “remaining”. 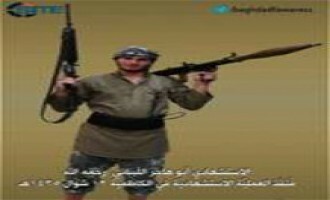 The Islamic State (IS) released a posthumous video from a Canadian fighter urging fellow Muslims to come to Syria with their families and participate in jihad. 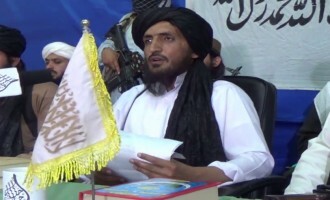 Abtalul Islam Foundation, a jihadi media group focused on the Afghanistan-Pakistan region, and Abu Yazid Abdul Qaher Khorasani, an official in an alleged faction of Tehrik-e-Taliban Pakistan (TTP), pledged allegiance to the Islamic State (IS) and its leader, Abu Bakr al-Baghdadi. 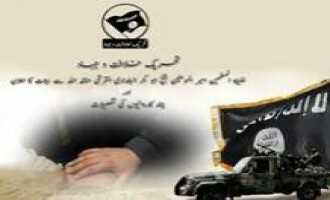 A Pakistani jihadi group calling itself the "Caliphate and Jihad Movement" pledged allegiance to the Islamic State (IS) and its leader, Abu Bakr al-Baghdadi, and also claimed credit for four attacks in Hyderabad and Karachi. The Islamic State (IS) released a video of a military parade in Syria's ar-Raqqah governorate in celebration of its declaration of a "Caliphate". The Islamic State (IS) released the fourth episode in its "Mujatweets" video series, showing a German fighter visiting injured colleagues in a medical facility. The Islamic State (IS) published a picture set showing 24 scenes from its "booby-trapping" workshop in Syria's Homs governorate. 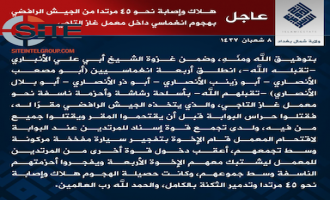 The Islamic State (IS) claimed credit for suicide bombings in al-Kazimiyah and al-Washash districts of Baghdad, and identified the perpetrators as Libyan and Lebanese, respectively. 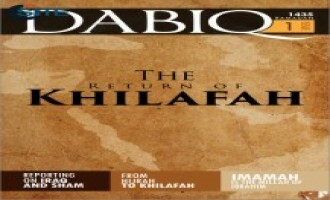 The Islamic State launched a new English-language magazine, “Dabiq,” and in the first issue, promoted its establishment of an alleged Islamic Caliphate. 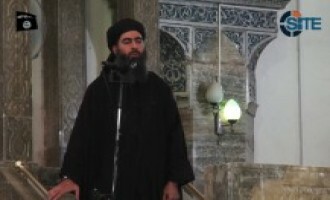 Abu Bakr al-Baghdadi, the leader of the Islamic State, appeared for the first time in a video, delivering a sermon at the Great Mosque in the city of Mosul in Iraq’s Ninawa province. 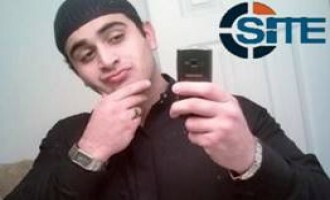 A jihadist recommended that Muslims who are unable to leave their country and join the Islamic State form small cells and carry out jihadi acts to support the group, such as kidnapping Americans and Europeans, striking Western economic interests, and attacking marine vessels. 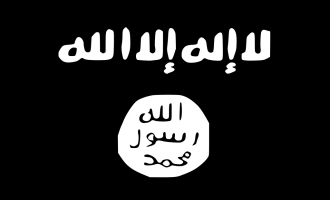 Vilayat Dagestan, a division of the Islamic Emirate of the Caucasus (IEC), praised the conquests of the Islamic State in Iraq's Ninawa and Salah al-Din provinces, but expressed apprehension in pledging allegiance to its declared Caliphate. 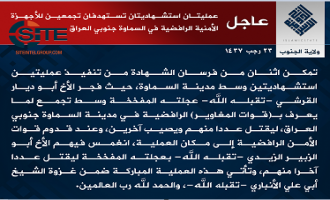 The "Supporters of the Islamic State in Jerusalem" (Jama'at Ansar al-Dawlat al-Islamiyya fi Beit al-Maqdis), the alleged group that claimed credit for the killing of three high school students in the West Bank, announced the killing of two fighters in Gaza. The Islamic State released a picture set showing the repentance of hundreds of "apostates" in one of its headquarters in Iraq's Ninawa province. 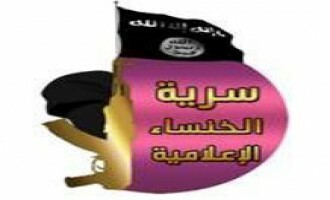 Al-Qaeda in the Islamic Maghreb (AQIM) congratulated the Islamic State in Iraq and Sham (ISIS) for its conquests in Iraq’s Ninawa and Salah al-Din provinces and hoped that they may divert attention from the infighting in Syria and enable the problems to be solved. 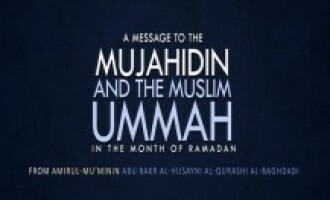 In an audio message marking the onset of Ramadan, Abu Bakr al-Baghdadi, the leader of the Islamic State (IS), called upon Muslims to act against global oppression and to emigrate to the newly-declared Caliphate. 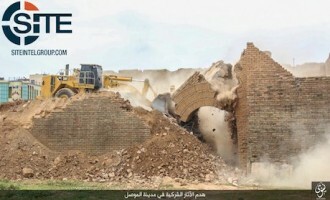 The Islamic State released a video promoting its destruction of a border crossing between al-Hasakah in Syria and Ninawa in Iraq, and its mission to destroy all borders erected by the enemy. 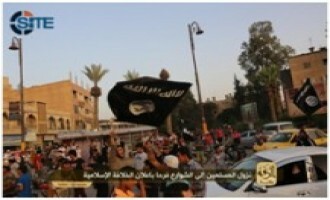 The Islamic State published a set of pictures showing a parade it held in Syria’s ar-Raqqah governorate for its declaration of an Islamic Caliphate and the naming of its leader, Abu Bakr al-Baghdadi, as the Caliph Ibrahim.